Update: Thank you to commenter Amith KK for letting us know about the Source-Built Lollipop port for the Nexus 7 (2012) by XDA Senior Member MidnightNinja. 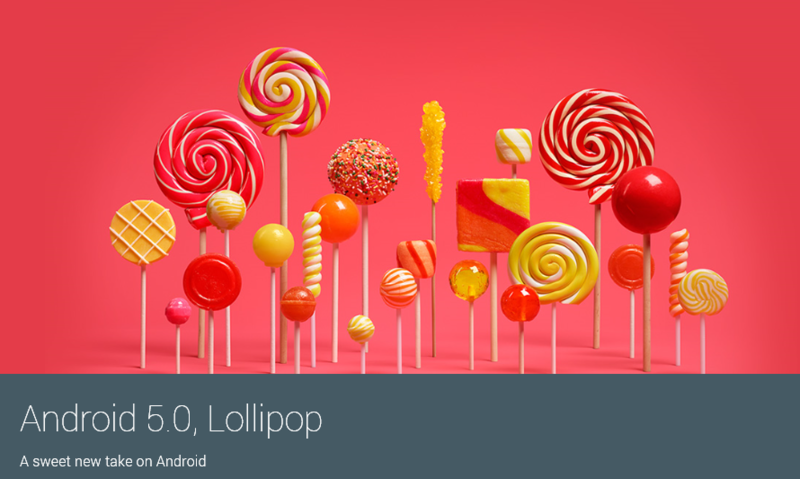 The source code for Android 5.0 Lollipop was only fully released yesterday, but developers on XDA work extremely quickly. In less than one day, some developers have managed to create Lollipop builds for particular devices. Let’s see which devices are capable of using Lollipop as a daily driver so far. It was easy to predict that Nexus devices would be the first to get these unofficial builds. Google Nexus 4 “mako” users have a chance to test one such Lollipop build. It has been prepared by XDA Senior Member C-o-M, and it is nothing more than a vanilla build of AOSP, without Google Apps or any other enhancements. The build reportedly works with 4.4.4 Gapps, but there are some flaws like a force closing keyboard or missing sync provider in the Calendar app. There is another build made by XDA Senior Member sykopompos, but its’ a direct port from Nexus 5’s preview releases. Nexus 7 (2013) “flo” owners can use a Lollipop source-built port by XDA Recognized Developer scrosler. The developer prepared a Google Apps package with applications available for the Nexus 9, which is also a tablet device, so there should be no issues caused by the gapps package used. If you’re planning to use this build, you need to flash the newest version of the Nexus 7 bootloader from the latest developer preview. Source-built Lollipop is also available for the Google Nexus 10, thanks to XDA Senior Member stiggy2012. Although the build is devoid of Google apps, users are already reporting great success in terms of usability and stability. You can get in on the action at the Lollipop for the Nexus 10 thread. Quite a bit of Android 5.0 Lollipop goodness was made available for the Google Nexus 5 “hammerhead”. There are 3 ROMs available. The first Lollipop ROM for the Nexus 5 is a pure AOSP experience and was compiled by XDA Recognized Developer OldDroid. The ROM is available as fastboot images, just like the images prepared by Google. It lacks Gapps and new binary files, but we need to wait a bit to see them available. The Second Lollipop ROM for the N5 comes from XDA Recognized Contributor herna. This is a pure AOSP experience with a modified kernel. The last N5 release is a pure AOSP build made by XDA Senior Member yashade2001. The only non-Nexus device on the list at this point is the Sony Xperia Z. Android 5.0 Lollipop was ported over by XDA Senior Member thomas1991_12, but there are quite a few items that need to be fixed before we can call it a daily driver. This should be resolved pretty quick, as the Xperia Z was one of the first devices with fully working Android 4.3. You can grab it from here. There may be some ROMs that have popped since we started writing this article, so please feel free to share any links you find in the comments below. The community works incredibly quickly, so it’s pretty hard to keep up. Hopefully, Google will finally release the official images for all of the supported Nexus devices, as well as the proper binaries, so truly stable builds can be created. This will also surely speed up the development for other devices.